Cover FX have made it their mission to let every skin tone find its perfect make up match and, in 30 versatile shades (with three undertone options for your perfect match), this long-wearing, crease-proof, ‘naturally radiant finish’ concealer is mission accomplished. Delivering weightless full coverage, the formula conceals dark circles and imperfections immediately, while also blurring fine lines and offering defence against urban pollutants thanks to fermented algae. It’s also vegan and ‘clean’ (free from ‘nasties’ like fragrance and mineral oil) so there’s nothing not to love. 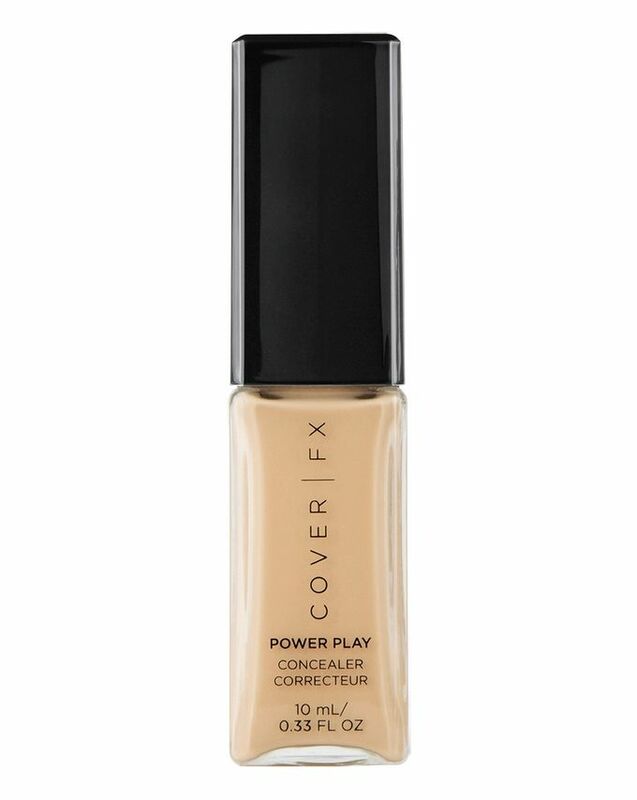 With 30 shade options (and three undertone options), Cover FX’s Power Play Foundation is the secret to finding a perfect make up match for your skin tone. Ideal for all kinds of complexions, this liquid concealer imparts a ‘naturally radiant finish that’s full coverage and yet weightless. Immediately, the formula conceals and blurs imperfections with a naturally radiant finish, providing all-day, crease-proof, transfer-proof wear that can be used to contour and highlight (just use 2-3 shades darker or lighter than your natural skin tone) as well as conceal. Enhanced with fermented algae, the formula also offers defence against urban pollutants and free radical damage, plus it’s vegan and ‘clean’ (free from ‘nasties’ like fragrance and mineral oil) so there’s nothing not to love. To conceal: Dot concealer directly over dark circles, blemishes, or other imperfections using the spherical applicator and blend with a fingertip, brush, or sponge. More dots = more coverage. To highlight: Choose a concealer 1-2 shades lighter and dot over the high points of the face including the top of the cheek bones, bridge of the nose, brow bones, cupid’s bow, and center of the forehead. To brighten the under-eye area, dot in a triangle of light formation. Blend with a wet sponge. This is a pretty good concealer. It has a buildable coverage but can crease if you put too much on. It lasts for a good 6-8 hours before it fades. I’m personally not a fan of the applicator, it’s too big and holds too much product. I would prefer a normal doe foot style. Great packaging can take it with me everywhere for top ups and amazing coverage. This concealer is beautiful! It's got a nice, creamy consistency, blends out like a dream, has beautiful coverage (think Shape Tape), feels so light and has minimal creasing (every concealer creases on me but this way less than any others). But what really separates it from other concealers I’ve tried is that it comes in my perfect shade G+ Medium 1 and it's the only one that does not make my very, very dry under-eyes look crepey! The colour G+ Medium 2 is perfect for my skin tone but I bought it to hide my dark circles around my eyes (which it does) but it also highlights my fine lines and it creases no matter what I mix it with, apply it with or lay it on top or below, even a small amount has the same effect and my fine lines are unnoticeable without this on.